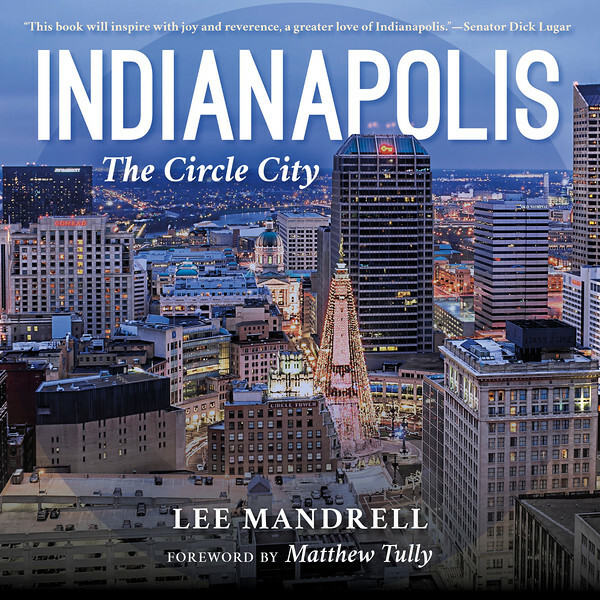 "Indianapolis - The Circle City"
Indianapolis shines like never before in this one-of-a-kind book filled with stunning images. Photographer Lee Mandrell showcases a Circle City of unique architecture and natural areas, outstanding museums, and historic landmarks. Readers will be drawn into the rich culture, history, and art of Indianapolis as well as all things modern. Discover Indy today! Stroll along the famous Canal Walk. Explore the largest children’s museum in the world. Wander through the city’s parks and enjoy beautiful seasonal displays. Marvel at the campuses of Butler University and IUPUI. The city shines all year round and in December, no holiday tour is complete without seeing the 284-foot tall Soldiers and Sailors Monument covered in lights and the world’s largest Christmas tree. The Crossroads of America is a city not easily forgotten. "I have seen Lee Mandrell's work. He is very talented, great eye and beautiful photos. Can't wait to see the book..."